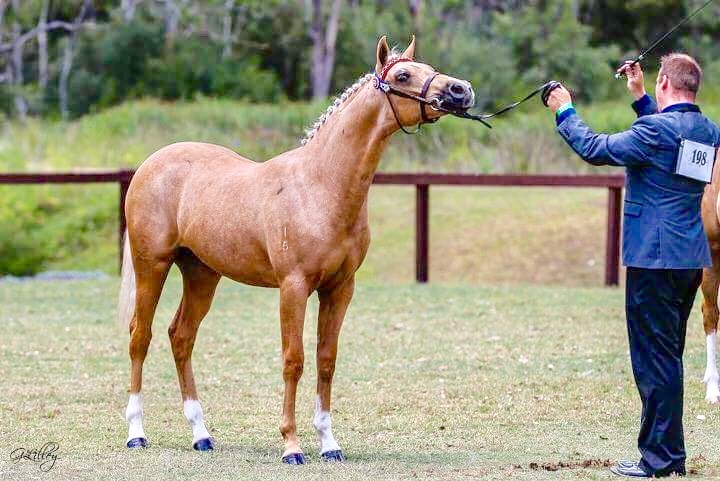 PALOMINO ARABIAN DERIVATIVE YEARLING SHOW FILLY. 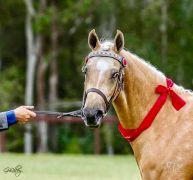 Tiara is 48% Arabian (mainly Crabbet), 25% thoroughbred... 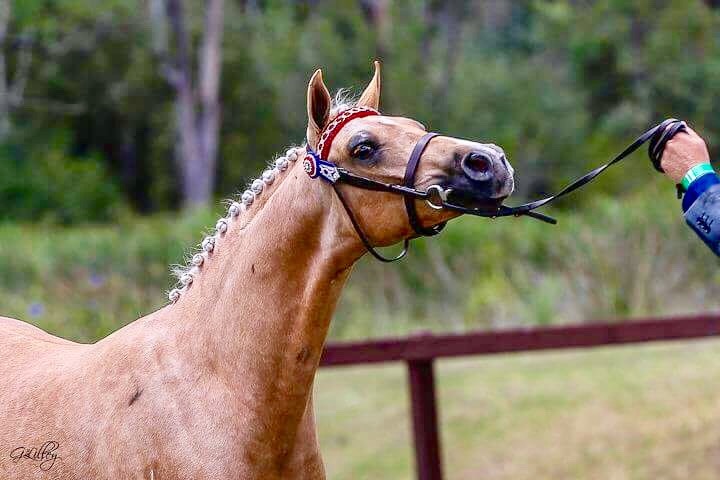 Mainly "lunchtime " bloodlines that are great producers of excellent show hacks.... and a little – unregistered Stockhorse in there. Her mother is 14.2 h and her father is 15.3 hands. She is a very easy Filly to deal with! Excellent to wash, float, rug, trim etc. 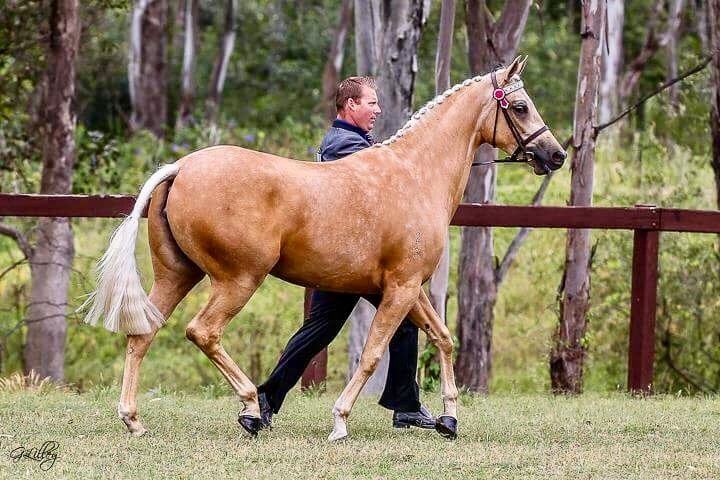 She is Beautiful mover. 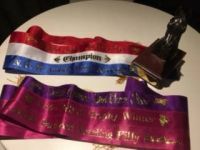 She recently won her yearling part Arabian Filly class out of 8 beautiful Fillies..and then went on to beat The two and three-year-olds and be crowned champion part Arabian Junior filly at the 2016 National Arabian stud horse show. 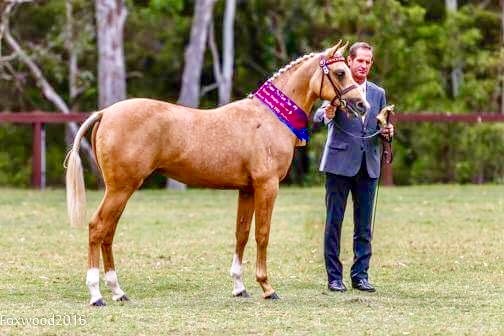 Tathren Full Glitz is a 3yo palomino Arabian Derivative Filly. 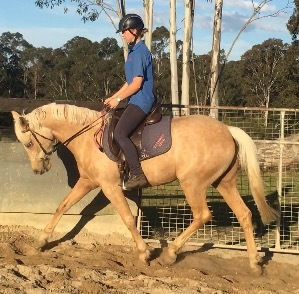 She will mature over 15 hands and is proving to be very sensible under saddle. 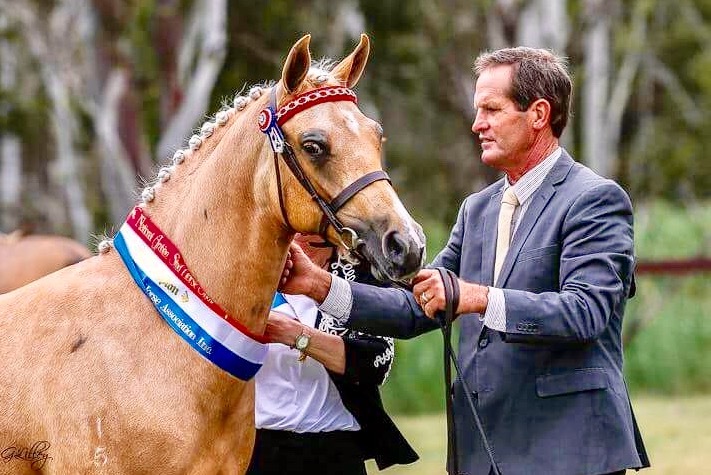 "Sophie " was started beautifully under saddle by Mat Broome from Voller Park in the winter of 2016. She is a beautiful mover... And is very easy to wash, clip, shoe float etc. She was shown at the 2016 National Arabian stud horse show where she was awarded a very good second out of nine other beautiful Fillies. Sophie would suit someone wanting a top class Showhorse without the huge price tag... Or someone that just wants a really beautiful horse to ride. 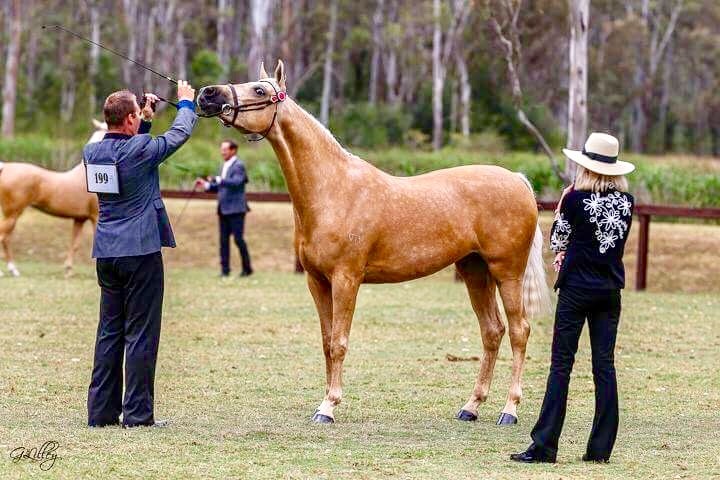 She is by my Anglo stallion, Tathren Strong Persuader out a daughter of My palomino stallion, Gleniph sovanity . She has had the best of all care and nutrition since her conception. All the hard work is done... She is a "get on and go ! " 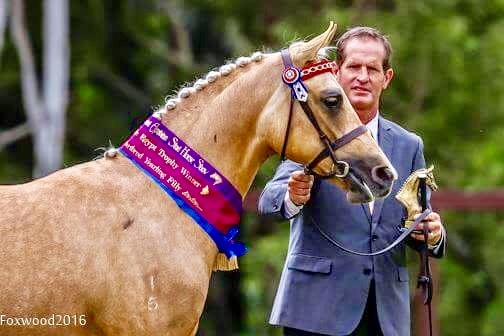 She is registered with the Arabian horse Association of Australia and the New South Wales Palomino association . She is eligible for 2017 newcomers too.